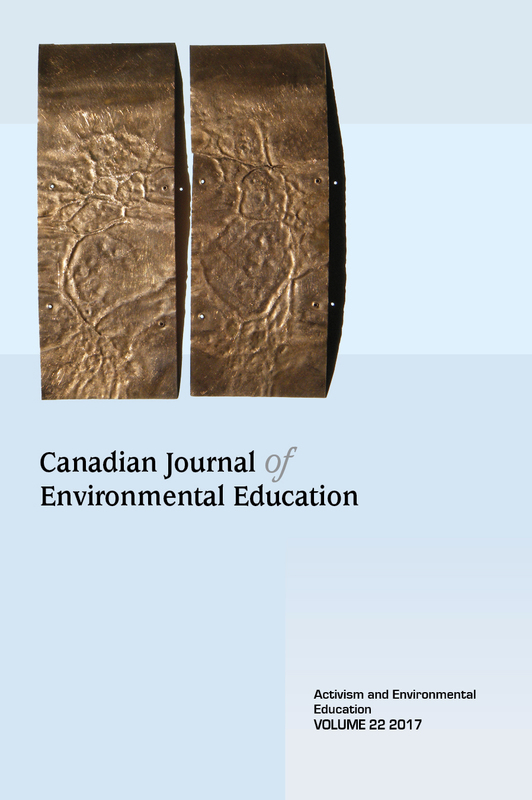 The Canadian Journal of Environmental Education is a refereed journal published once a year. It seeks to further the study and practice of environmental education by providing a thoughtful forum for researchers, scholars, practitioners, and post-secondary students. The publication and distribution of articles and reviews should contribute to Canadian thought and practice in environmental education and/or issues and practices of international importance to this field of study. The views expressed in this journal are not necessarily those of the journal’s editors, advisory editors, or supporters. 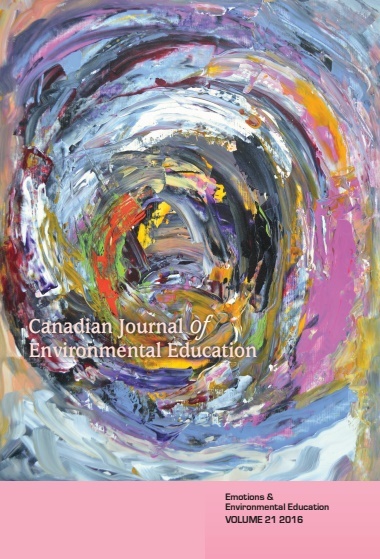 The Canadian Journal of Environmental Education publishes material that may represent divergent ideas, judgements, and opinions. Submissions are received online at this website by November 1 of each year. All new authors must register and then follow the links for “authors.” Guidelines for submissions can be found on the CJEE website: Information For Authors. Printed back issues of most volumes of the Canadian Journal of Environmental Education are available up until 2016. See the Archives page for a list of published issues from 1996-2016. The cost to purchase a back issue is $30 Canadian per journal (plus shipping and handling) or five issues for $100 Canadian (plus shipping and handling). To purchase back issues of the journal, please contact Diana Mason, Lakehead University at dmason@lakeheadu.ca to make arrangements.